With the new roof we feed a total of 6 electric filling stations and are self-sufficient in electricity. Refurbishment is always a challenge, especially when the roof over a full warehouse is being replaced. Keplinger is a wholesaler of wood and wood elements based in Upper Austria. The company was founded in 1928 as a sawmill, but after a short time the production plant became a flourishing trading company with currently 100 employees. 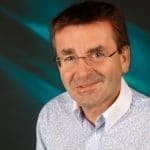 The assortment includes veneers, sawn timber, wood-based materials, floors, doors or furniture cuts, the valuable assortment is stored in wholesale halls in Traun. The warehouse and production facility were to be given a new roof in 2018. 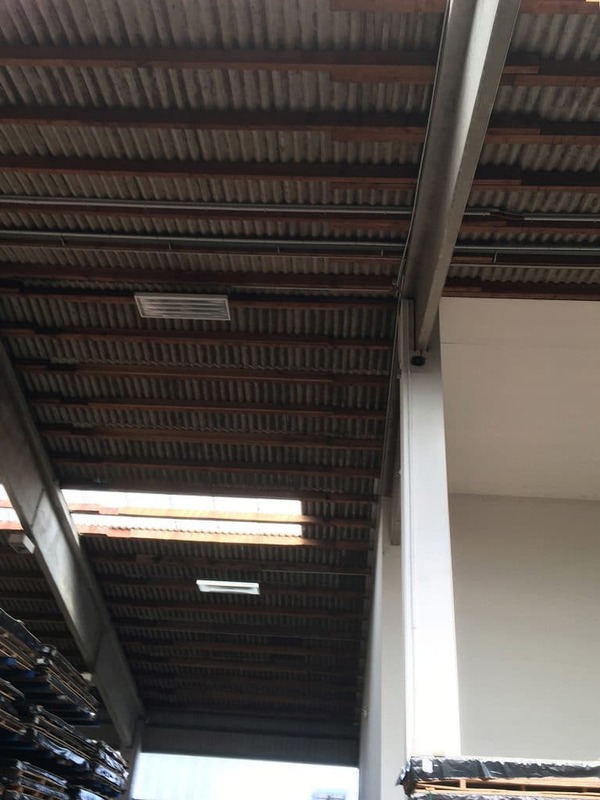 Since no structural plans were available for the hall erected in 1973, the existing reinforcing bars were uncovered and the load capacity recalculated. 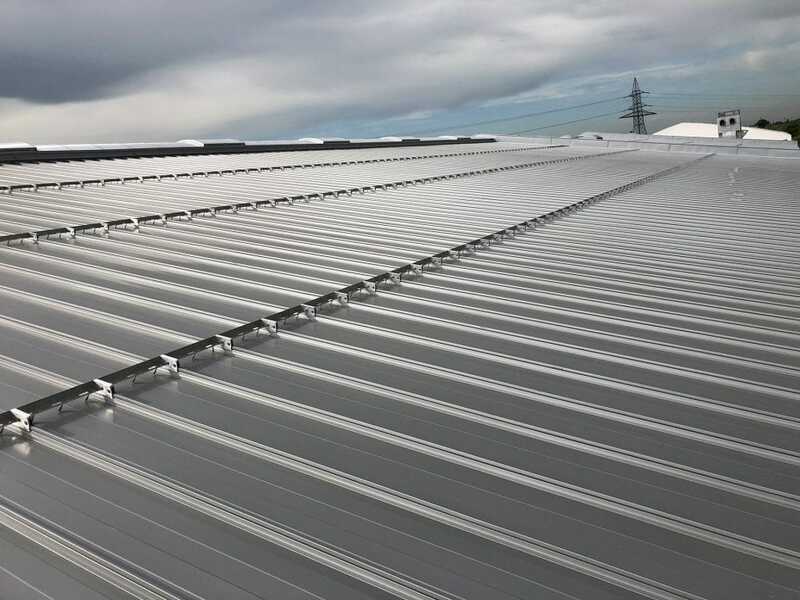 In order to be able to continue using the existing trusses without additional reinforcement, the client and master builder were in favour of refurbishment with a DOMICO element roof. 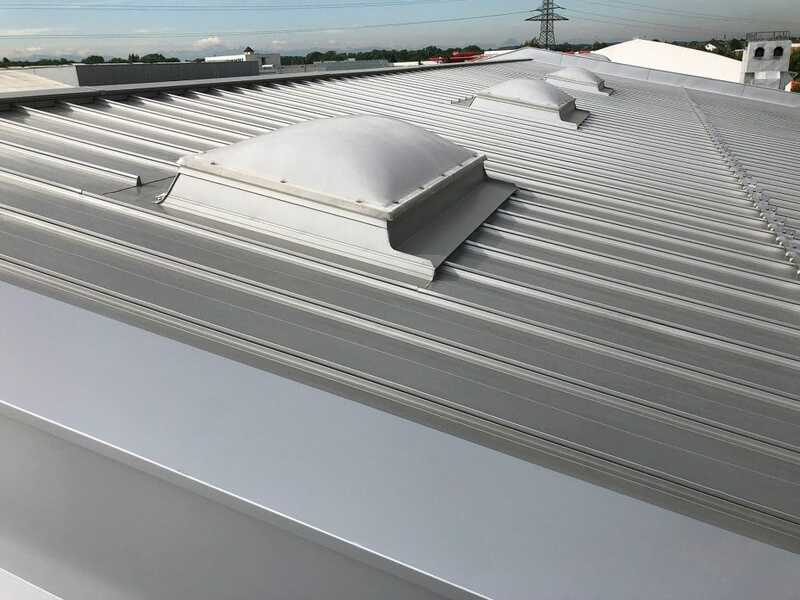 The DOMICO element roof is a compact lightweight construction element consisting of supporting profiles, cassettes, thermal insulation and retaining profiles. 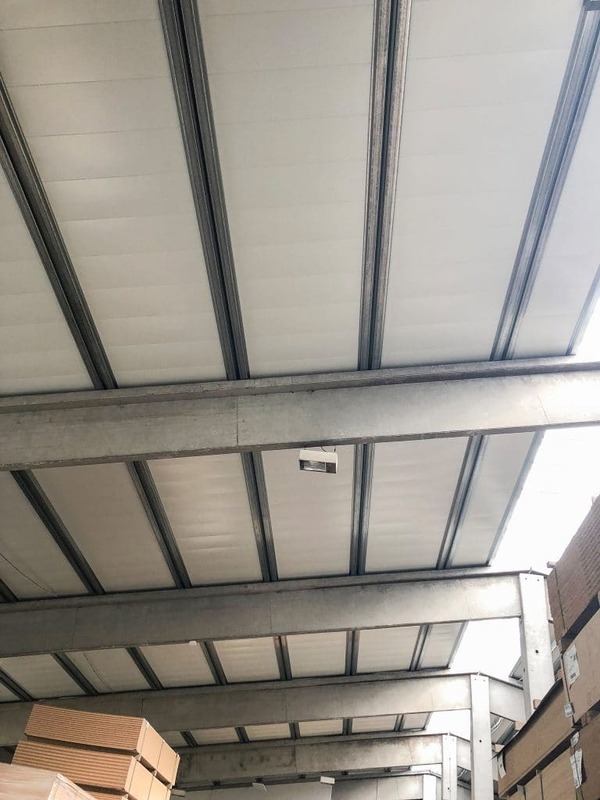 In addition, a vapour diffusion-open covering sheet not only protects during transport, but also makes the installation weather-independent, a particularly important argument for roof renovation over a valuable warehouse. It was clear to all the companies involved that a water ingress due to an open roof would have fatal consequences. For this reason, the roof was only removed and replaced one by one, opened daily as much as could be closed again on the same day. The dimensions of the DOMICO elements permit rapid and large-scale installation, up to 1,500 m² can be achieved in one day, and time is saved above all by the high degree of prefabrication in the company. DOMICO produced the elements with dimensional accuracy, and the recesses for roof windows were provided. During the refurbishment of the hall, the client placed great value on sustainability and environmental awareness. The DOMICO Element Roof was able to meet the demand for thermal insulation. The short transport routes from the production plant in Pötting to Traun also met the ecological requirements of the client.